I actually have one! You can check it out HERE. My struggle with YouTube is remembering to take the video content and then taking the time to put it all together. I feel like it's a TON of work with very little return in the form of feedback. I get lots of requests for videos but then literally no comments/feedback to let me know if people are actually enjoying them - hahaha If you love videos I do, let me know! ... and then I go into blogger and schedule all the posts out in draft form. At this point I'll try to schedule out working on various posts/tasks. This allows me to work on posts bit by bit (i.e. writing parts of a "three things" post as I think of them or starting to upload pics for a Friday Favorites or other post throughout the week). Things don't always play out like this... there are posts that pop into my head randomly that I might share the next day and sometimes things don't go as planned and I have to switch/push back other posts but this gives me a rough outline to work off of. My biggest advice for potty training is WAIT!!! If you're struggling with it it's probably because your child isn't ready - and THAT'S OK!!! We potty trained Luke WAY TOO EARLY and had lingering "issues" for years and Mason and Griffin were both over three and pretty much potty trained themselves. I wrote an entire post on our experiences HERE and I promise that waiting will be the best thing you'll ever do! 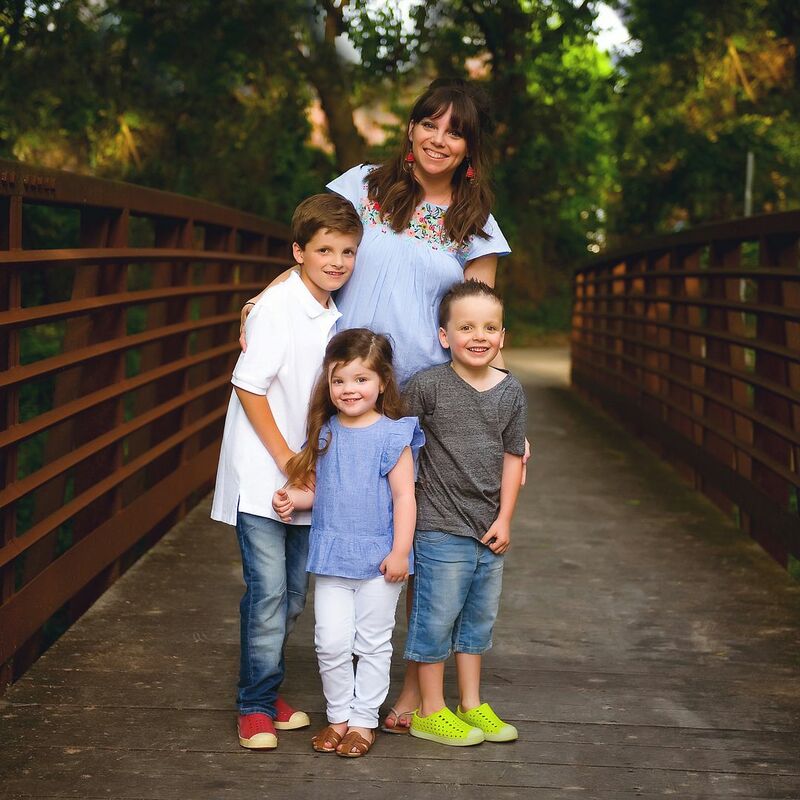 "I wanted to share my experiences with potty training to encourage y'all in listening to your kids (and your instincts!) and not being intimidated or pressured into parenting decisions. By friends, by books, by the internet or by strangers. When your 5-year old loudly asks, "What are all those bumps on that boys face"while you're standing next to a sweet teenager with acne. If your potty training years are behind you... CONGRATS! We can start saving our diaper money and putting it toward braces :)"
Other things that help me feel "together" mainly revolve around how my house looks/feels in the evening... having an empty sink and picked up living areas makes me feel much more "together" even if my to-do-list is a mile long. As far as my appearance goes (which I think may have been the original intent of the question) there really isn't anything that I HAVE to do to feel "together". Obviously I feel better with clean hair and some eye makeup, but if it doesn't happen it doesn't affect my day. Honestly... we don't really have one. Our principal is NOT a micro-manager (praise the LORD!) and allows us to dress for how we see fit for our job. There are definitely days that may require a more "business casual" attire and he'll tell us those days, but on a regular basis we can dress how we want/need to for what we're doing that day. There are some teachers that wear t-shirts (usually funny, themed ones) with jeans 99% of the time and others who are dressier. When I worked at the corporate office of a bank I had to wear pantyhose WITH PANTS (and if the top of your foot showed and you weren't wearing hose you got talked to) so I greatly appreciate the "non-dress code" at my current job. Mason has always LOVED to dance and we've suggested and encouraged him to explore this in a dance class and he has pretty adamantly refused. We've watched "So You Think You Can Dance" with him, talked about how football players benefit from ballet, etc. and he just has NO interest in a formal dance class. Over the years we've noticed that Mason has a really special "relationship" with music. Mason feels A LOT and notices/interacts with music more than my other kids. From a super young age we'd be in Target or the grocery store and he'd stop and say, "Mommy! Do you hear that song... that was in XYZ movie" He's always picked up on how music reflects/affects his feelings and loves to turn on different kinds of music and draw "how it makes him feel". If I wasn't a teacher I 100% would want to own my own shop downtown McKinney. I've worked in several small shops downtown over the years and I absolutely LOVED working retail. I loved the people, I loved the business side of going to market and buying and I loved the creative side of merchandising. It would be an "everything" shop... home decor, stationary, a small selection of clothes, candles, etc. It's my absolute DREAM. On that note - what would YOUR dream job be??? Leave me a comment and let me know! When I was younger my dream job was to be a Stay at Home mom. My dream DID come true & was able to be home with both of my kids until they started school. Now that I'm older, I would LOVE to either be a Labor & Delivery nurse or NICU nurse. I LOVE that your dream came true!!! Ah! I love posts like this!!! You would have the cutest shop on the square!! I mean - how fun would that be?!?! I feel like it would be like a "mom clubhouse" :) One day!!! Such a fun post! LOVED IT! And I could watch Mason dancing all day long. I'm a long time reader, but rarely comment. 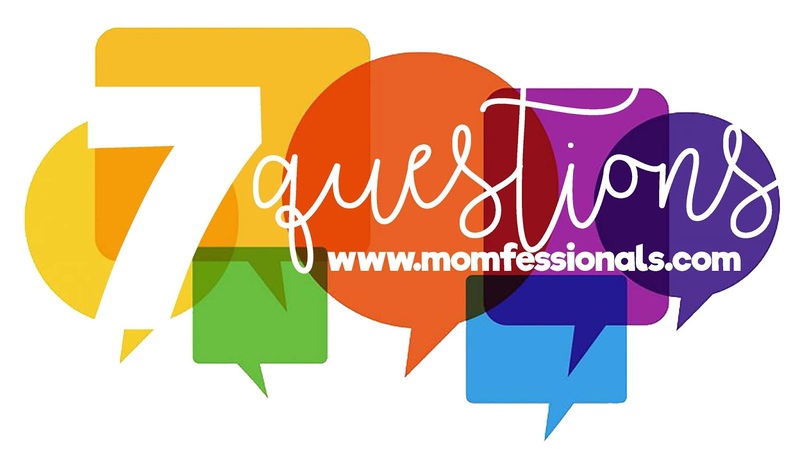 My boys are 7, 9, 11, 13 and I so much agree with your comments on motherhood and potty training!! Also, I've never been more humbled than I have been by being a mom!!! Right?!?! Humbled every single day! My dream job was to be a teacher and a mommy. I'm a bookkeeper/admin assistant and a mommy so half my dreams came true! Ha! If that is your dream, you should do it!! Your home seems like the sweetest place and a shop that you owned would be just like that. If you fund it I'll do it! hahaha :) Maybe one day! I have an almost 2 1/2 year old little boy (my first and only) who has been talking in full sentences for a long time and now can take off his own pants and diaper...He knows what the potty is and who can use the potty at school...he understands all of it...will sometimes sit on the potty but has only successfully "tooted" on the potty...This was so encouraging to read! He'll get there eventually! YES!!! Mason was the exact same way!! I was talking to a teacher friend the other day (who has three adult children) and she was telling me that her youngest (who is extremely intelligent and was SUPER verbal early on) was the exact same way! I promise he'll get it! This was encouraging to read as my 2 1/2 year old little boy can speak in full paragraphs, dress and undress himself, and fully understands the process of the potty. But still here we are buying diapers! I feel like we will all be happier if we just wait it out! Kathy, I checked out your blog and what a beautiful little girl Kara was and what an amazing thing an organization in her honor would be. Thank you for sharing the link with me - her sweet smile brightened my day! Thanks for checking out the blog, Andrea. Many people do not know about SUDC (only SIDS), and losing your child is always tragic...but the not knowing 'why' is so hard. It's one of those things that will be revealed when we get to heaven I suppose. Okay, now I can't wait for your day in the life post coming up! Yay!!! 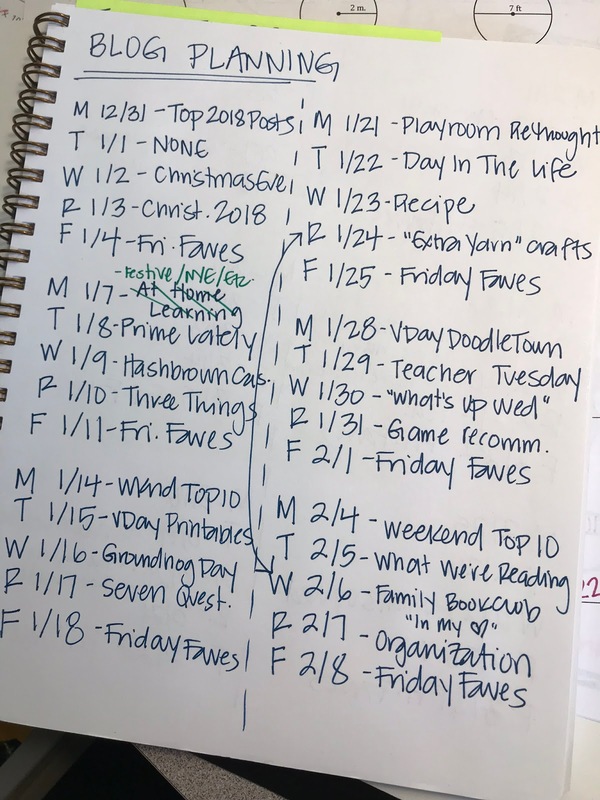 It's since been bumped - but hoping to get it on the calendar for January! That's awesome!!! And yes - round two after retirement! Could you please do an "At home learning" post?! I was going to ask for some advise from you about activities, games and things you do at home with your kids that will increase a love for reading and learning. Totally random but I always love your graphics, you are so talented. I would totally shop at your shop if I was closer and you opened one and I have to make my bed everyday too!!! Thank you!!! And how fun would that be?!?! That's an amazing dream job! I hope some day happens soon for you! I love your videos! I don't often go to YouTube but I always watch when you post one on the blog! So many blessings and YES to a large extended family and grandchildren! My dream job would be interior designer! I love HGTV so much and always enjoy seeing how the designers decorate the homes. I would love to learn to do that! My absolute DREAM job is to write my own blog, if you even consider that a job! I love the idea of sharing life with other people via a blog. Or, like you said, own a shop in the downtown area of my hometown. I think my dream job would be baby snuggler... bc how fun would that be to snuggle babies all the time but not always have to be in that newborn stage of breastfeeding and not sleeping (I'm so thankful for getting to experience that phase, but I don't want to live it ALL the time... but I would like to snuggle tiny babies more often). But my current job as a professor is pretty great, and I love my toddler even though he only snuggles when hes sleeping or getting ready to bite me HA! I used to be an elementary school teacher and we would ask each other at lunch as teachers what we would be and I always said a dentist. After seven years of teaching I decided to give it a try and see if this crazy dream could come true. It took a lot of work, sacrifice, and risks but now I’ve been a dentist for about 2 years. God gives us those dreams I feel like for a reason! The idea of tights under dress pants literally made me cringe! Its interesting to me that you work in a Catholic school but there's no dress code for teachers - obviously no one would dress inappropriately but I'm kind of surprised jeans/t-shirts are ok! If you ever open a shop in downtown McKinney, I might have to make the long drive from MS just to shop there!! I know it would be so eclectic, creative, and fun! I would love to start my own cookie business. Making decrotive sugar cookies is a passion! I laughed at your made bed comments. when I was growing up my mom made us make our bed. If I went to a friend's house and I had not made my bed she would call me and tell me why I should not be at that friend's house because my bed has not been made.naturally, as a grown adult, I never ever ever make my bed unless someone is coming to my house and even then I don't make it unless there's a decent possibility they will come upstairs and see my bedroom. I always always always straighten it up before I get in it though. Ironically, when I do make it I always walk into my room and think about how nice and put together it feels. Doh!